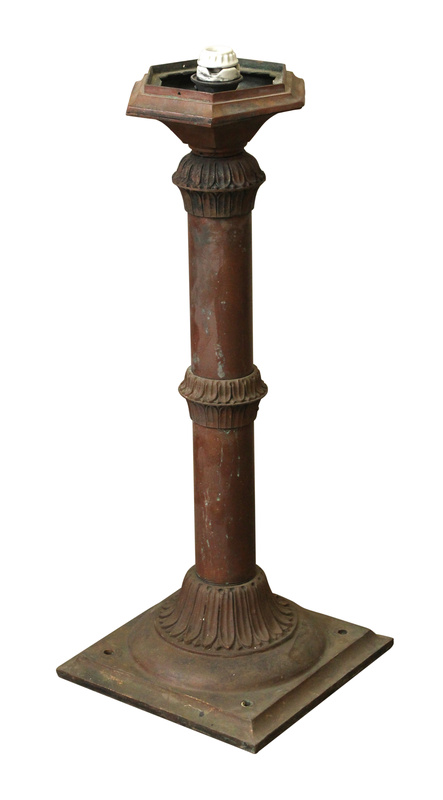 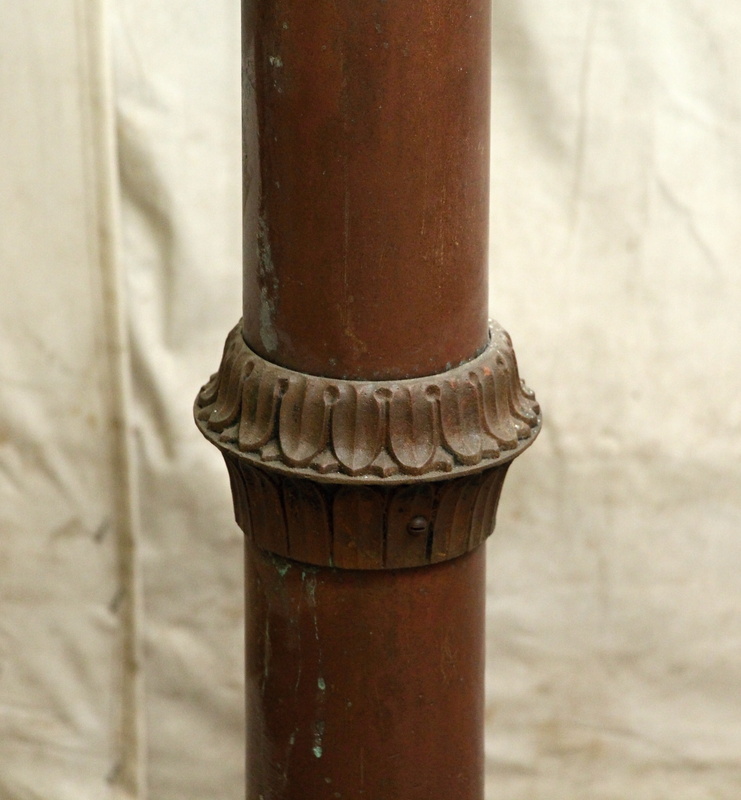 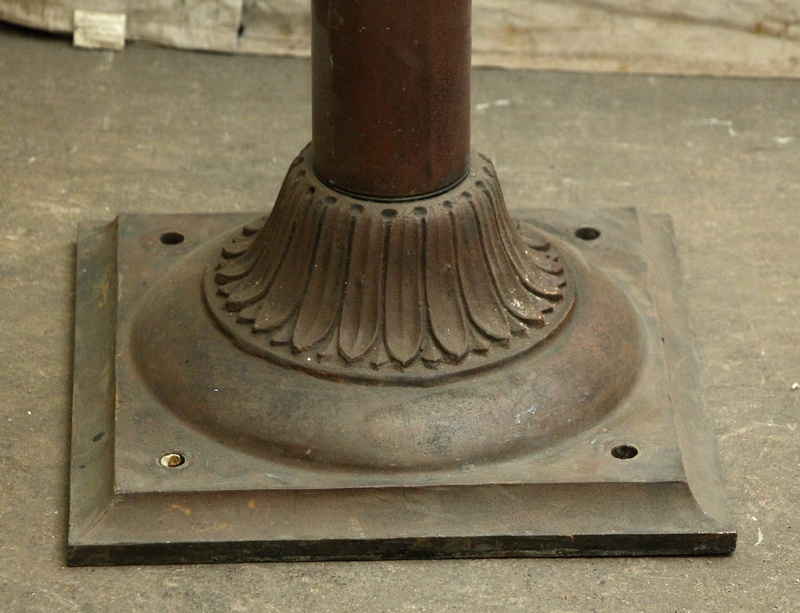 Pair of bronze candle stick lamps with a deep patina. 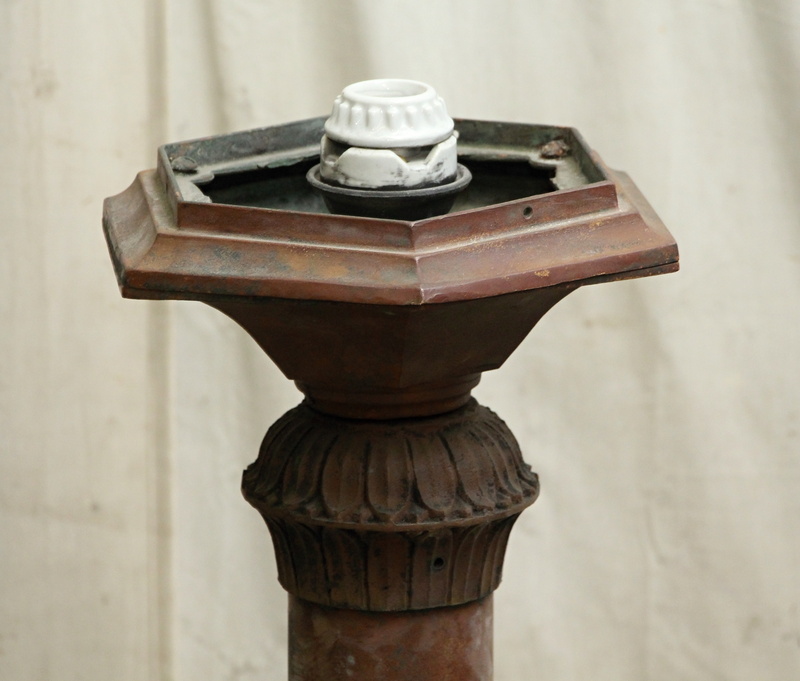 The top is designed to be fitted with a hexagon glass shade on each which is not included. 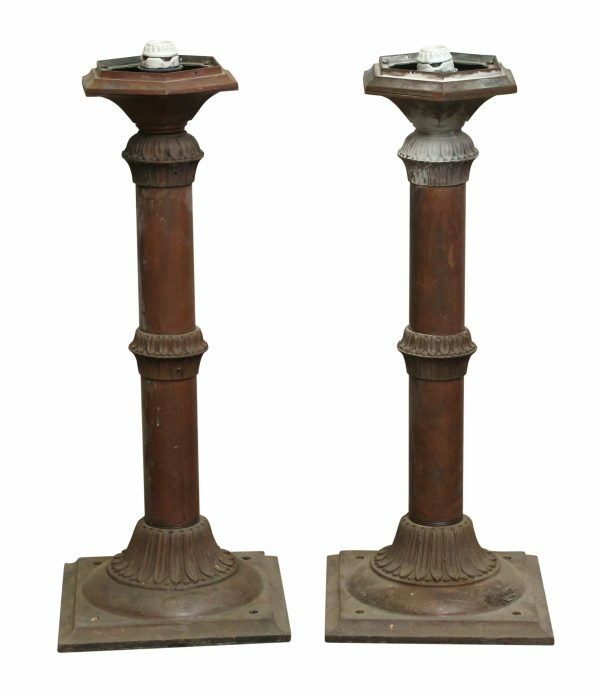 Priced as a pair.